Entry level Kashmir willow bat. Made in India! Entry level Kashmir Willow. Gunn & Moore Cricket Bat Aura Mens Full Size Kashmir Willow - Made in India with entry level Kashmir Willow! 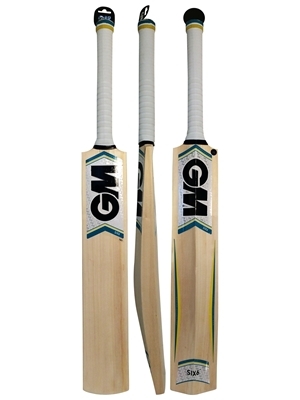 The GM Kashmir Willow cricket bats have a few different characteristics from English Willow cricket bats. Though the faces of the Kashmir Willow bats have been pressed to give a tough resilient surface, a few surface cracks and indentations will in all probability appear in use! These markings should be ignored as they are normal for this type of timber and will not impact the performance of the bat. 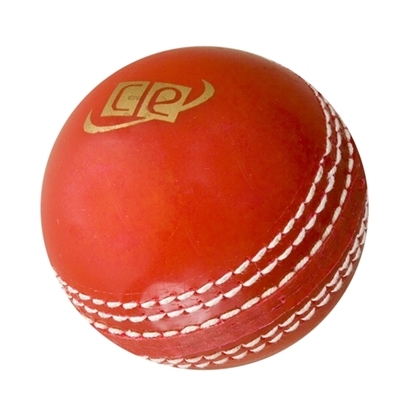 Training cricket ball made of rubber and PU synthetic leather. Ideal practice aid for seam bowling and for batting. The ball is available in Red, White and Yellow colors. Ready to play! Made in India with Grade 1 Kashmir willow. MOGUL 202 comes with treble spring handle and ripple grip! Supreme value Kashmir Willow with a natural finish. Very popular Kashmir willow bat. Light weight and well balanced, great for heavy tennis ball cricket. You can play with this bat with proper cricket ball as well, for playing with heavy tennis ball we recommend to apply anti scuff sheet to the face of the bat to avoid moisture absorption. 2016 Fantastic Value Gloves for young cricketers. Available in Boys, Small Boys & extra small boys sizes. Gloves available for right and left handed children. Entry level Kashmir willow cricket bat in adult men size. Unbleached Kashmir Willow bats, Grade 1. Excellent bat with strong can handle fitted with toe guard and high quality scales grip. Available in short handle, long blade and long handle sizes. This bat is available in size 6 and normal short handle full size for adults. 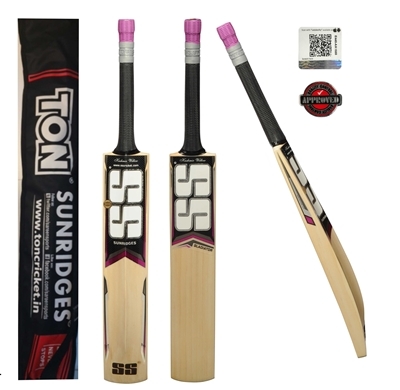 SS Slogger entry level cricket bat at exceptional low price with SS bat cover made from Kashmir willow. 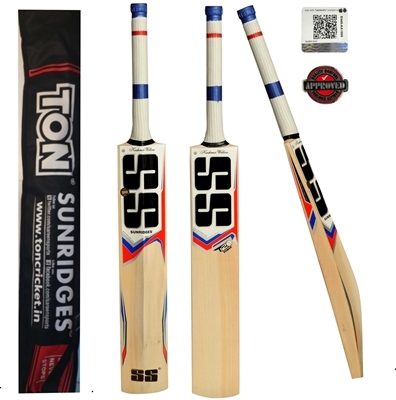 SS TON Series Kashmir Willow bat, new for <b>2018</b> with free bat cover. Exceptional bat with super low price. Highly recommended for playing with seasoned cricket or heavy tennis cricket ball. Maximus Kashmir Willow bat with thick powerful profile. Superb balance and pickup the latest 2016 model. Signature SS three colors grip with toe guard protection. Kashmir Willow T20 bats developed by SS for T20 games, Kashmir Willow bat 2 lbs 12 ozs thick edges Grade A Kashmir Willow with free bat cover. Beautifully poised bat from the latest range. 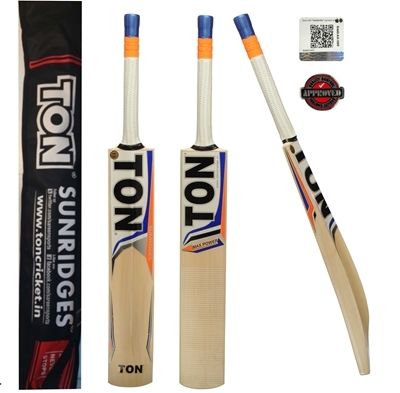 Short Handle full size adult cricket bat.